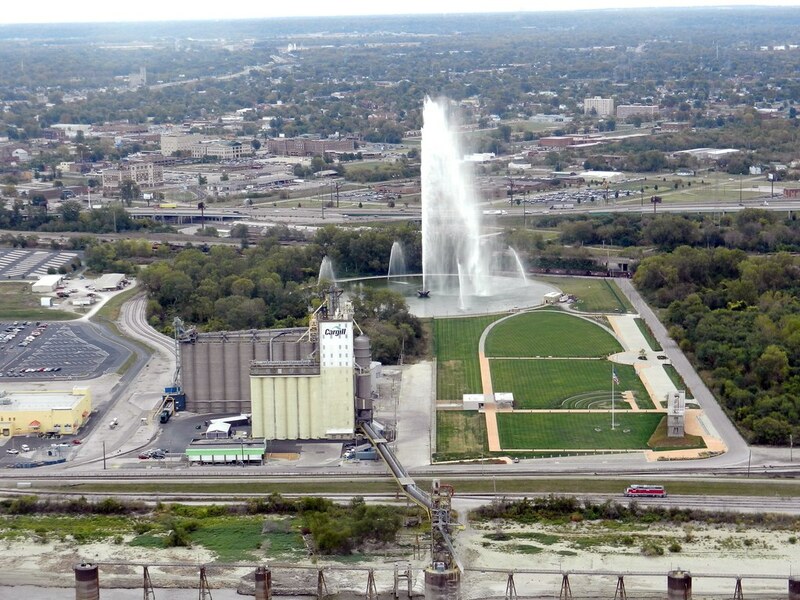 Since 1891, a gigantic jet of water has been Geneva’s most important landmark. This narrow column of water shooting straight up to a staggering height of 140 meters is one of the most recognizable part of Geneva’s skyline. It has some pretty impressive stats: every second, five hundred liters of water exit the 4-inch diameter nozzle at speeds of 200 km per hour. At any given moment, there are about 7,000 liters of water are in the air. Called Jet d'Eau, which means ‘Water-Jet’ in French, the fountain is located on Lake Geneva at the point where the lake empties into the Rhône river. 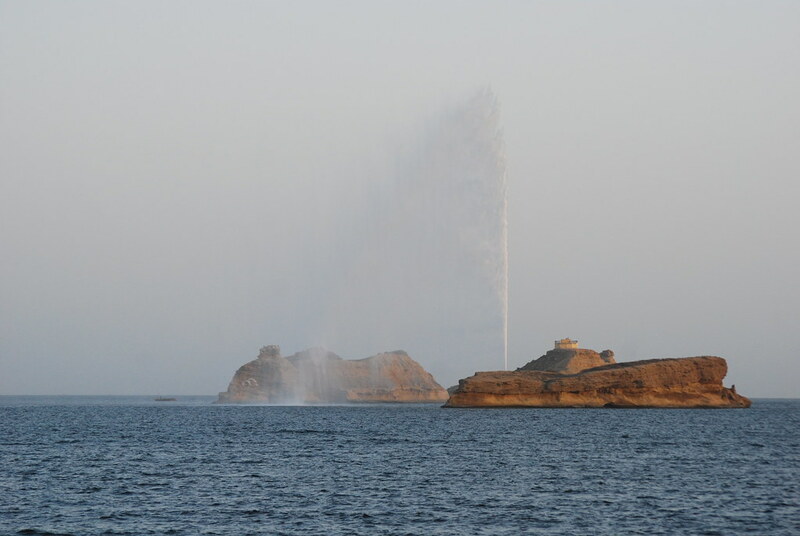 There is a narrow stone jetty, dating to the same year the fountain was installed, that takes visitors from the shores of the lake right to the nozzle where the fountain begins. This famous Swiss landmark originally began as a safety valve to reduce excess pressure that would build up on the city’s hydraulic power network. A hydraulic power network uses pressurized water to transmit mechanical power from a large central pump to workshops and factories around the city through a network of pipes, just like the electrical grid transmits power from a generating station to end-users. The idea of a public hydraulic power network was first suggested by Joseph Bramah in the early 1800s, and the first low-pressure system began appearing in England in the 1840s, but the real breakthrough occurred in 1850 with the introduction of the hydraulic accumulator, which allowed much higher pressures to be used. By the end of the 19th century, many cities around the world had working hydraulic power networks. These included London, Liverpool, Birmingham, Manchester, Glasgow, Antwerp, Melbourne, Sydney, Buenos Aires and Geneva. The Geneva hydraulic power network was set up in 1879 with a 300 HP steam engine pumping water from Lake Geneva both for drinking and pressurized water supply. Increased demand prompted the city to install a new pumping plant in 1886 using the water power of the river Rhône. The water pressure was used to power machines in more than a hundred workshops and factories. At the end of each workday, as the factories switched off the machines one at the time, excess pressure would build up in the system, and so a safety valve was needed to release this pressure. This safety valve became Geneva’s first fountain creating a water plume 30 meters high. Soon the tall fountain became a landmark of the city. Seeing how popular the fountain had become, the city decided to move the fountain to its present location in 1891 for the sole purpose of attracting tourist. More power was added to it so that water rose to 90 meters. In 1951, the power was notched up once again to its current height of 140 meters —the sixth tallest fountain in the world. Today, the fountain operates throughout the day all year round, and at evening it’s lit up by colorful lights.